If you ever get the hankering to try something new, baking spaghetti squash might be the least adventurous of your options. However, the newness of the act still made me smile! I’ve heard people RAVING about spaghetti squash for quite a while now. I’ve read recipes all over the internet, seen my friends struggle with the baking process, and eaten a few bites myself here and there. 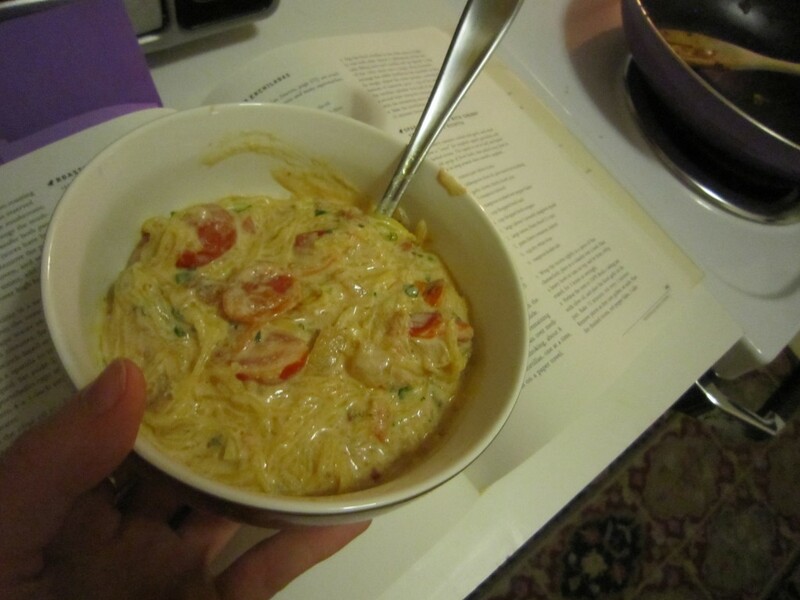 But never before have I made a dish of it myself… until today! Once again, Martha Stewart became my kitchen hero. Her recipe for “Spaghetti Squash with Cherry Tomatoes and Ricotta” has definitely joined the ranks of my go-to weeknight recipes. It’s light, flavorful, and incredibly good for you. Why yes, I DID chop all of those cherry tomatoes by hand! I’ve seen pictures online of cooks placing the tomatoes between two plastic lids to make one grand slice… but I didn’t have plastic lids. So, I took my paring knife and sliced each little darn one. Somehow, this process was actually pretty enjoyable! 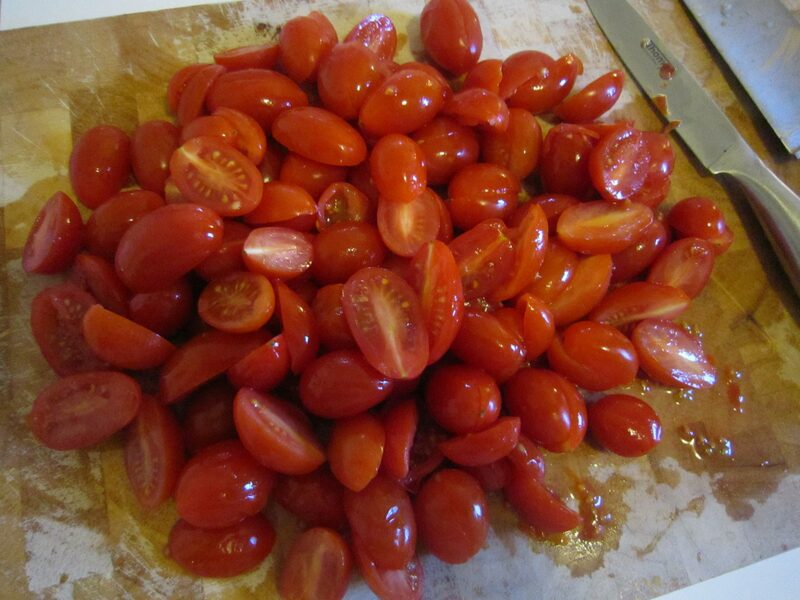 Chopping tomatoes one at a time is a very meditative thing to spend your time doing. 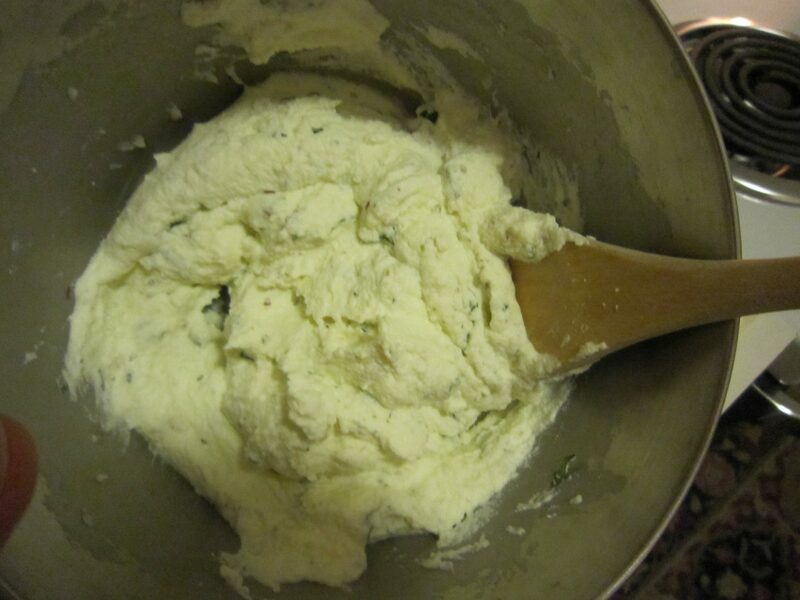 This recipe calls for a deliciously blended herbed ricotta… which was honestly the reason why I chose it in the first place. Is there anything better than ricotta?? 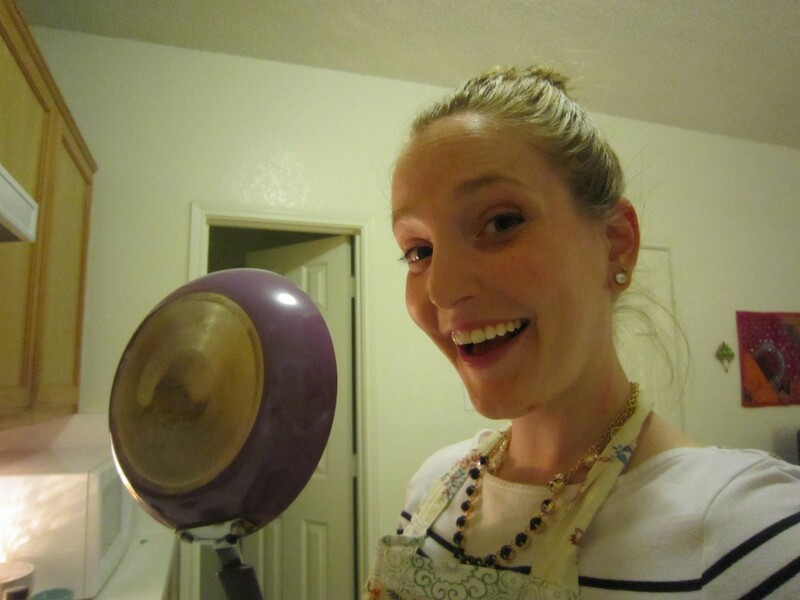 I was also (very) excited to be using my new PURPLE skillets for this recipe! So, in the end, this spaghetti squash recipe was definitely not one that I would photograph for the front cover of my cookbook… which explains why this recipe didn’t come with an accompanying picture. It’s not that pretty. Honestly. 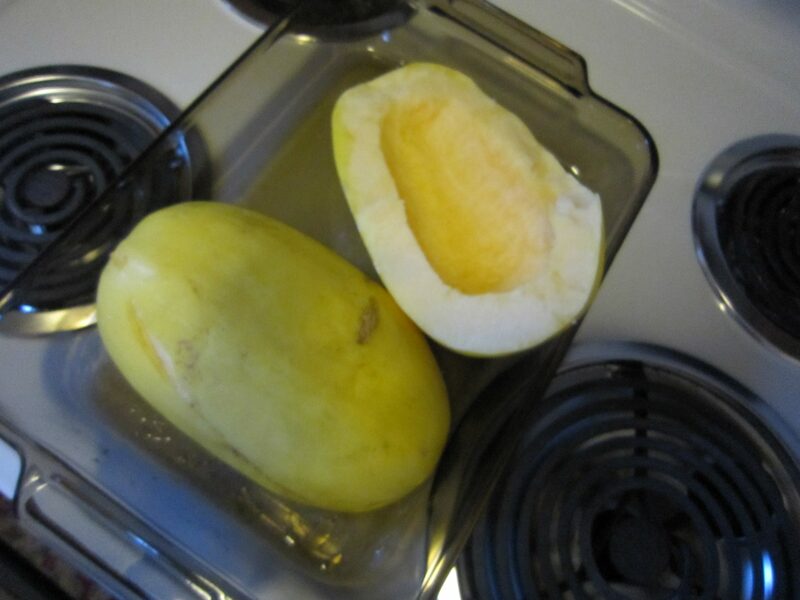 For my first foray into the spaghetti squash world, I am very pleased, indeed. Message me for a full copy of the recipe– or check out this similar version here. Everything you see I owe to spaghetti [squash].